Audio Venue are specialists in bespoke home cinema and home audio systems. At Audio Venue, they focus on designing the very best home cinema, multiroom and stereo audio systems available and work directly with architects, end users and interior designers to make sure that all of their installations meet and exceed customer expectations. 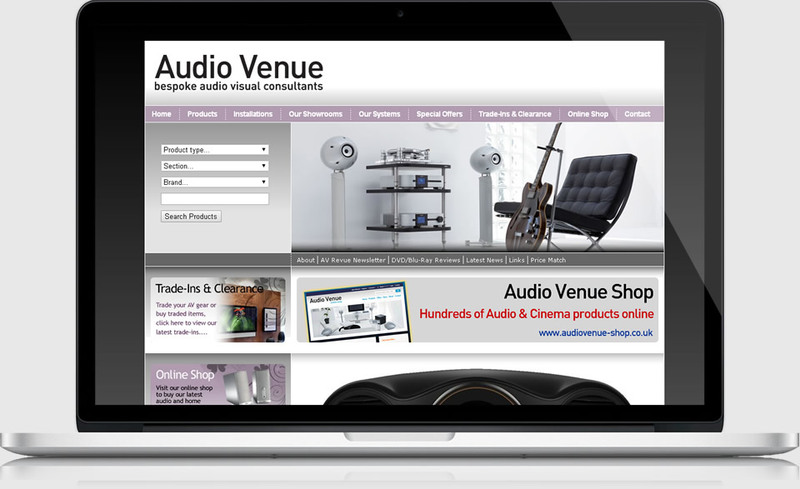 A brand new website for Audio Venue, launched in time for Christmas 2010. Clean “Web 2.0” style design, latest CSS, and the latest KreatureCMS management tools. New colours and a new logo finish off the site.